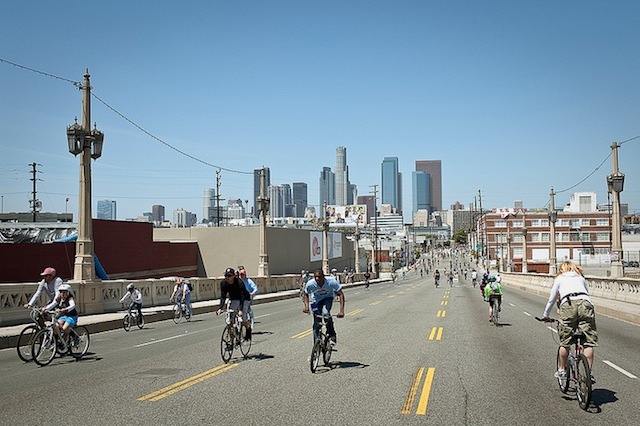 The event shuts down parts of 2nd Street, 4th Street, Glendale Boulevard and Cesar E. Chavez in Echo Park, downtown, Chinatown, Boyle Heights and East L.A. so bikers, skaters, walkers and other non-drivers can cruise down it. The event and street closures started at 9 a.m. and continue till 4 p.m. By 4:30, car traffic should be flowing normally again. Here is the route map. Event organizers partner with the city, the county and Metro and numerous sponsors to make CicLAvia possible. 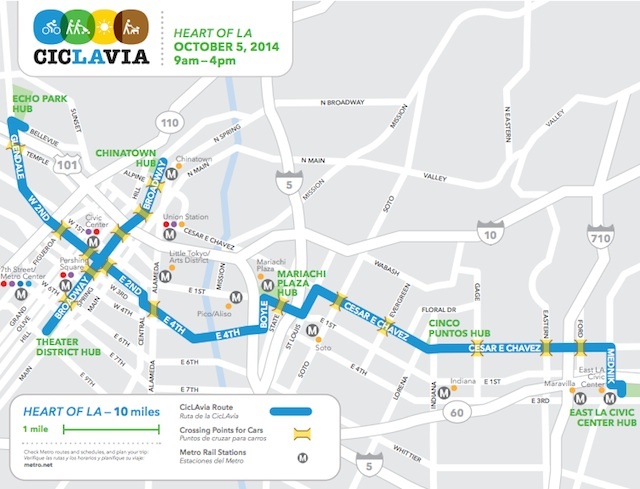 This is the second of three CicLAvia events scheduled for this year. The next one is December 7.